As the next semester begins, we bid 2017 farewell and we are stoked for what 2018 has in store! 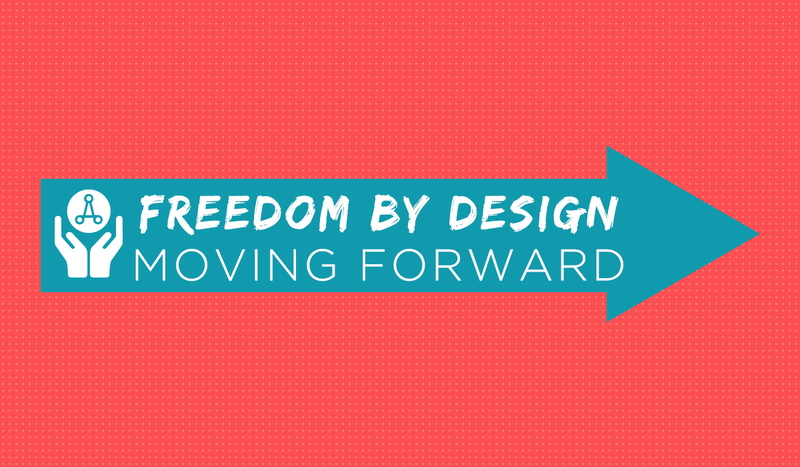 This past year Freedom by Design experienced loads of constructive change. The Freedom by Design Advisory Group set its sights on a more hands-on approach to advising FBD chapters throughout the Nation. The monthly FBD Pod Calls allowed FBDAG to serve as the direct point-people for FBD chapters in their quad, providing any advice necessary, and opening up communication networks between AIAS FBD Programs allowing them to support one another as well. FBD Pods have already significantly strengthened lines of communication all around. Fill out this survey to share your experiences with FBD Pods. The FBDAG also revamped the outdated FBD Manual and reorganized the FBD’s tab on the AIAS National website so that FBD and its resources are now more central and easier to find. Most recently, the FBDAG made itself known at the FORUM Conference in Texas by disseminating informational flyers about the Freedom by Design, and subsequently holding an info session and Design Charette in which participants built modular and portable shelters for the disaster-relief effort in Puerto Rico, post-Hurricane Maria, and Irma’s destruction. The session was very well-attended, and we hope that the experiences shared at the FBD FORUM session might translate into architectural humanitarian efforts of their own. 2017 was a very eventful year for all of Freedom by Design, and this is only just the beginning. If you aren’t already, 2018 is a better time than any to get involved and join or start your own local Freedom by Design Chapter! Use your architectural knowledge to make a difference in your local community, or even in the rest of the world! Contact us at freedom@aias.org for more information on Freedom by Design, and how to go about starting your own chapter, or join our monthly FBD Pod Calls with your FBD quad advisor and other local chapters in your quad, to get in the loop with all things FBD related! Be sure to send the FBDAG and the AIAS National Office pictures of your programs’ progress and success so we can all celebrate with you. Good work, team!